If Millencolin have proven us anything over the last few years, it is that the band members are clearly just as unified as they were when they formed Millencolin, roughly 26 years, eight albums and 2’000 live shows ago. The Swedish quartet influenced a generation of skate punks with its legendary albums “Life On A Plate” or “Pennybridge Pioneers”. Skate punk was always more than just music, it combined everything from street to stage to sports to attitude. 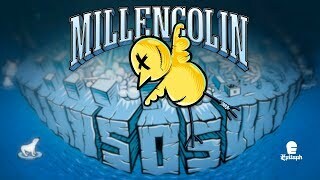 In February 2019, Millencolin release their new record “SOS”, carrying on the lyrical sociopolitical anger of 2015’s “True Brew”, sticking to their timeless guitar riffs and with pushing drum rhythms.